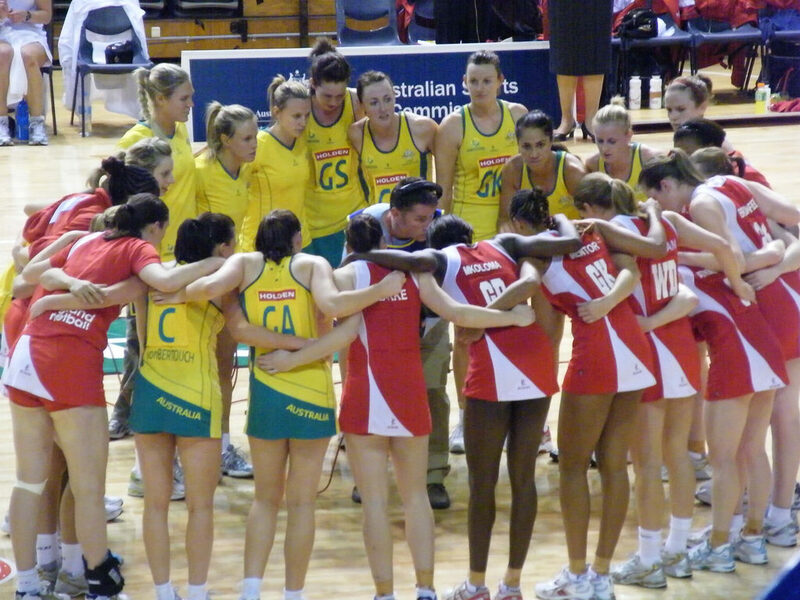 Regardless of what form you play, netball can be an extremely fun and rewarding sport. Mixed or social netball provides a great opportunity for you to spend time with your friends and meet new people while getting a bit of regular exercise. More competitive grades are great for people who really enjoy playing, improving, and sometimes even winning! If you ever play in attack, then you need to be good at shooting. Even if you don’t, learning how to shoot can help you improve your ball control, coordination, and general skills. One of the best ways to improve your shooting is to buy yourself a netball ring for your backyard. There are plenty of choices for the netball player who wants to set up their own ring to practice with. Go for something cheap and simple, or install a higher quality ring which mimics the real thing. Regardless of which option you choose, regular practice is the key. If you really want to improve your netball game, then one of the best and most important things to work on is your technique. If you really want to be a star netballer, then you need to have a good technique. One of the best ways to improve your technique is to get online and watch videos. Simply search for “improve your netball technique” on YouTube or a similar video sharing website and you should come up with hundreds of extremely useful videos. Work through these, take notes, and use the tips outlined in them to improve your shooting technique. This is relatively self-explanatory, but certainly no less important than any of the other tips. If you really want to maximize your performance this netball season, then you need to make sure that you are as fit as possible. Exercising for a few minutes every day is all that you need. Things like sit-ups, push-ups, and squats are simple exercises which you can do from the comfort of your living room. Try and include some cardio exercises like swimming or running a couple of times per week and watch your performance improve out of sight! Your teammates are the people who will be feeding your passes, helping your team improve, and making you look good on the court. Getting to know them and how they play can help improve your game dramatically. Meet for coffee a few times before the season starts, try and hang out together, and you should see your team gel like never before. Try it and see! One of the keys to playing any team sport well is communication. Learn to talk to your teammates during training and games. If you are a naturally quiet person this may be difficult, but that doesn’t mean that it is any less important. Actively try and improve your talk on and off the court this preseason. Although it may be hard at first, you will find that it gets easier over time. Become a leader in your team, and you should see both your own and your team’s performance improve a lot this netball season! Sure, you’ve probably heard the saying “practice makes perfect” before. However, this isn’t quite true. It should go “perfect practice makes perfect”. It is extremely important to practice the way you want to play. Don’t get lazy at training, don’t slack off when it comes to fitness work, and don’t be lazy when it comes to your technique. After all, you play the way you train whether you like it or not. A lot of young netballers believe that they can’t train unless they have someone to train with. Unfortunately, this couldn’t be further from the truth. A concrete or brick wall makes a great training tool for practicing your ball skills when you are alone. All you need to do is put a few markers on the wall using chalk or something else which you can wash off. Take your ball and practice your passing and catching by throwing the ball at the markers on the wall and catching it when it rebounds. The other thing that you can do on your own practices your shooting. Even if you aren’t a goal shooter or goal attack, having good shooting skills will still help improve your overall game. Consider buying yourself a netball ring for your backyard (see tip 1 for more) or heading down to your local park regularly and practicing your shots at least a few times per week. Your game will improve out of sight if you put the time and effort in. Sure, you might think that you eat pretty well already. However, if you actually took a good look at your diet you would probably find a lot of areas where you could improve. Try and cut out unhealthy junk foods, make sure that you are getting enough nutrients, and eat the right foods at the right times. Doing so will make it much easier to get and stay fit, and your body will thank you! Stretching will help reduce your risk of injury and increase your flexibility. Both of these things are great when it comes to playing netball. If are serious about becoming the best netballer possible, then you need to make sure that you include stretching before and after every single training session. Regardless of your long-term goals, a few simple daily actions can help you improve your netball game out of sight. Base your training on the above tips and watch yourself improve this season!